On 15 August 2015, following a solitary protest promoting Tibetan rights, a young woman was arrested by the Chinese authorities. Shortly after shouting slogans calling for freedom and the return of the Dalai Lama, Ms Woekar Kyi was taken into custody and no information has been released as of yet on her conditions of detention. Last December , two residents of the same area were detained for allegedly taking part in activities opposing Beijing’s rule of Tibetan areas. 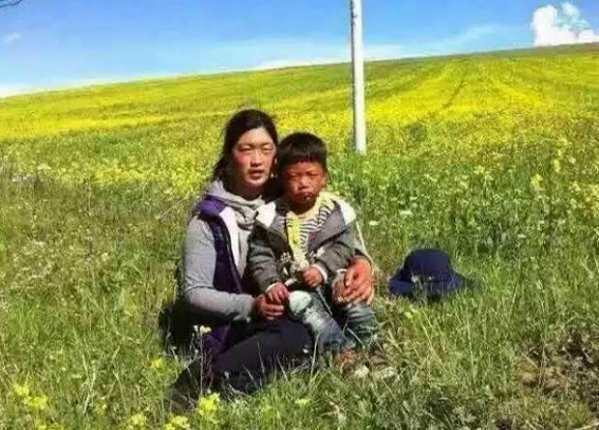 Police in southwestern China’s Sichuan province detained a young Tibetan nomad on Saturday after the woman, the mother of a four-year-old son, staged a solitary protest in her township calling out for Tibetan freedom and the return of exiled spiritual leader the Dalai Lama, Tibetan sources said. Woekar Kyi, aged about 23, was taken into custody by local police on Aug. 15 at about 3:00 p.m. in Ngaba (in Chinese, Aba) county’s Meruma township, an India-based Tibetan monk told RFA’s Tibetan Service on Monday. “She shouted slogans calling for Tibetan freedom and demanding that the Dalai Lama be invited to return to Tibet,” the monk, named Kanyak Tsering, said. “She also called out that China’s repression of Tibetans has now crossed all limits,” Tsering said, citing sources in the Ngaba region. Kyi, who was raised from early childhood in a nomad family, was taken into custody shortly after beginning her protest, and no word was immediately available regarding her current condition or whereabouts. A native of Meruma township’s Village No. 1, Kyi’s father’s name is Kunpo and mother’s name is Phakpa, Tsering said. Kyi’s detention follows the earlier detentions in December of two other Meruma residents, one a student and the other a monk, apparently on suspicion of involvement in activities opposing Beijing’s rule in Tibetan areas. Mewu Soepa, a 21-year-old student, was taken into custody by police on Dec. 27 while traveling from Meruma township to the Ngaba county center, sources said in earlier reports. Writings on Soepa’s blog were found by authorities to include an article titled “Raise Your Hands For Freedom” and a poem, “The Martyr,” dedicated to a Tibetan woman named Tsepe, also from Meruma, who set herself ablaze and died on Dec. 22 to protest Chinese rule. Also detained was Lobsang Lungrik, 20, a Meruma native and monk from Ngaba’s restive Kirti monastery, who was taken away by police on unspecified charges on Dec. 26, sources said.